Her Billboard Music Awards performance was LIT! Janet, or Miss Jackson if you’re nasty, recently performed at the Billboard Music Awards (BBMAs) and it was a sensational performance. The awards show offered a slew of performances from the greatest talents in music like Ariana Grande, Christina Aguilera, Demi Lovato, Jennifer Lopez and even En Vogue and Salt-N-Pepa. 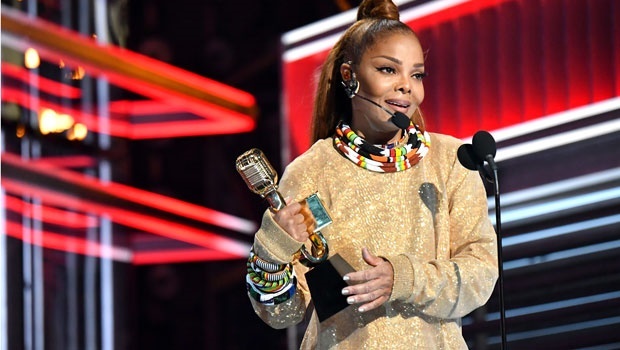 Then, a 52-year-old Janet Jackson got on stage and had the crowd dancing with her first televised performance in nine years. She also became the first black woman to receive the Billboard Icon Award at the show, making history and slaying on stage all in one night. The crowd literally chanted her name as she went up to collect her award. She gave a rousing speech and spoke about being “humbled” by the honour and being thankful for having the energy to live her life as an artist. Now, Janet Jackson isn’t just some blip on the music radar. She’s a legend and rightfully won that Icon award because she is an icon. She might be the Jacksons’ little sister, but she’s long made a big name for herself and was a force to be reckoned with in the ‘80s and ‘90s. She’s always been a household name and her stage presence was unmatched for a very long time; but back in 2004, “Nipplegate” happened and it changed the way the public saw Janet forever. Janet was immediately shamed and shunned, even by her peers in the music industry. The 46th annual Grammy’s were held a week following the incident and while both Justin and Janet were supposed to present and perform at the awards show, Janet was outright banned from the event according to Billboard, while Justin was still allowed to attend and perform. Yes, Justin Timberlake got into trouble too, but he seemed to be forgiven far quicker than Janet was. And now, even years later, many people still associate Janet with that event instead of her exceptional music career while Justin’s reputation seemed to be recovered much more quickly. Firstly, we need to get past the era of ‘first blacks’ and while Janet being the first black woman to receive the Icon award is important, it’s also awful that this is only happening in 2018. Secondly, she really is an icon and has been an important person in the music industry for DECADES. She needs to be honoured. Thirdly, she’s showing women of all ages that you can be 52 years old and still look incredible and dance your heart out like you did when you were 25. But, lastly, and most importantly, that you can make big mistakes, but that doesn’t mean you should be shamed for them for your entire life and that you can take your own back and really show the world how much talent you've always had.